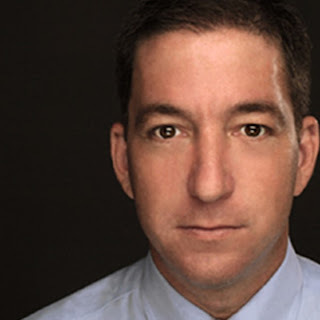 For the benefit of anyone for whom reading is perhaps not fundamental, Glenn Greenwald's personality, and the peripatetic globe-trotting of Edward Snowden, are not the story here. If you decide to make them the story, then you are taking yourself off the real story, and that's your fault, not Greenwald's or Snowden's. When reporters for Pro Publica, or the New York Times, or Der Spiegel, or even Barton Gellman of WaPo, start giving interviews about how brave they are for reporting on this story in the face of certain arrest and imprisonment, I'll agree the story isn't at all about Glenn Greenwald or Edward Snowden. I get the feeling that Charlie Pierce is finding the pressure to conform hard to resist. Greenwaldism is the new Scientism. Correct me if I'm wrong, but the post and the discussion in the comments seem to have much more to do with the messengers than with the message. My understanding is this is not the discussion Edward Snowden wanted. Why not stick to the message, rather than focus on defending the messengers? The message should stand on its own. Just give me the message that will shock and surprise me and cause me to cry out, "Oh, I didn't know! How terrible! We must stop the horror now." I would designate you a "Top Commenter" here, if I knew how.